I’m delighted to officially announce the launch of an all-new Online Shopping Website for an existing Client of mine – JMN Sports Limited (of Sheffield). clubs, JMN take pride in supporting the region’s “Grass Roots” football scene – and this in reflected by their highly competitively priced, premium grade products. 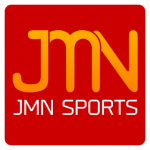 Those involved with local football teams will most likely be particularly interested to hear about JMN’s exciting new personalised footballs service! If you are ordering 10 or more footballs, you can choose to have your team’s logo/badge professionally printed (at source) on the balls – for a mere £1 additional fee (per ball). For more details on this exclusive service, click here. For full details about their all-new range of balls for the 2014/2015 season please do pop over their shiny new online footballs shop – and as always your feedback is both welcomed and valued. Back of the net, son!